Drug Rehab Centers In Utah - Best Drug Rehabilitation Facility in Utah! You no longer have to feel alone or isolated in your Drug and/or Alcohol Addiction! Help is here! CLICK HERE FOR LIFETIME GUARANTEE! Deer Hollow Offers These Different Services and More! Utah is home to many wonderful and breath taking mountains and valleys. In fact, Eagle Mountain has many foothills to explore throughout the city. It would be a shame to not use such an awesome commodity in our own backyard! Deer Hollow believes in the healing power of mother nature and uses her gifts any opportunity possible! If you or someone close to you is currently suffering from the disease of addiction, do not delay any longer. Pick up the phone and call us today. Our compassionate and professional staff are ready and waiting to help you through the entire process from start to finish! Patients of Deer Hollow Recovery & Wellness, a Utah addiction center and one of the best drug and alcohol treatment centers and drug detox rehabs in Utah, patients have come to expect a different inpatient or outpatient experience. 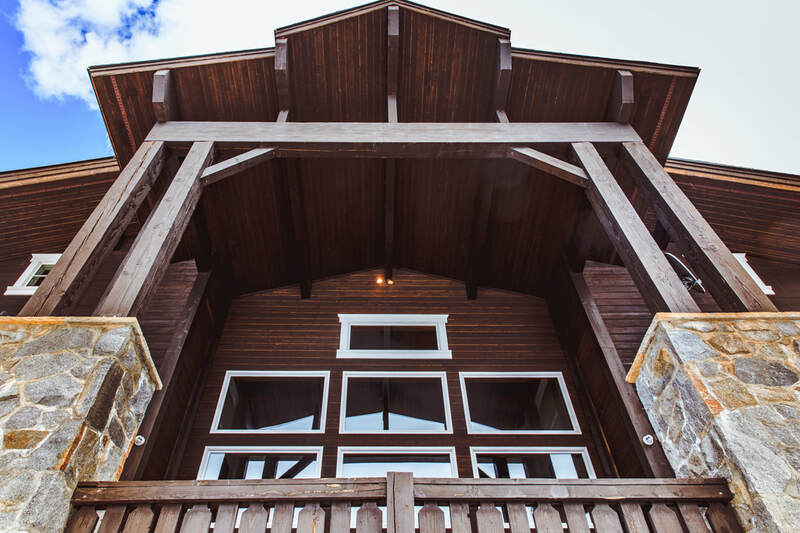 At Deer Hollow Drug Rehab, the client’s needs come first and foremost. We are here to serve you in the best possible way according to your needs and wants. 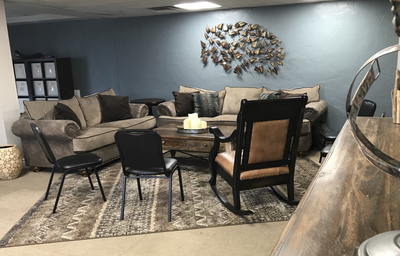 Our mission here at Deer Hollow Drug Rehab is to place the client's life as the highest priority and will do everything possible to help the addict recover by healing their body, mind and spirit. This will be accomplished through the ongoing and collaborative efforts of constant wellness checks, outdoor incorporation and private, personalized, intimate care. 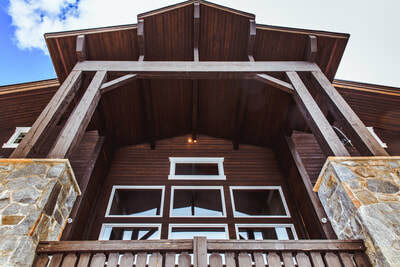 We are fully licensed by the State of Utah Department of Human Services, the State of Utah Division of Occupational and Professional Licensing, the city of Draper and SLC and The Drug Enforcement Administration (DEA) to provide Inpatient, Medication Assisted treatment and both Intensive Outpatient (IOP) and General Outpatient (GOP) treatment. 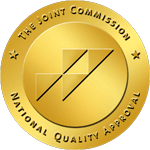 We have a three-year accreditation from the Joint Commission On Accredited Hospitals (JCAHO). Upon entering our cheerful, welcoming facility, you will be greeted warmly by our front office staff who will walk you through a safe and efficient intake process designed to assess and prioritize your needs, whether that’s linking you to our medical staff to help you in eliminating current withdrawal symptoms and stabilizing you safely and quickly, or having you meet with one of our intake counselors to assess how to best work around your employment, insurance and treatment needs. We offer detox services, residential drug treatment and two options for outpatient treatment, Intensive Outpatient and general Outpatient. The intake counselor will work with you and guide you so you can determine which one of our programs will be the best fit for you. The process is all about you and your needs, not our pocketbooks! Deer Hollow Drug Rehab has medical access every day of the week to provide intake physicals, and to facilitate the need for withdrawal medications. We offer expert medical management for the use Suboxone and Vivitrol medications along with supportive individual and group counseling. This form of treatment is evidence-based and the standard of care for the disease of opioid addiction. Our specialized, and highly trained counselors and staff provide education, and support for all medications provided. Our medical staff provide ongoing physical evaluation during in the beginning stages of medication administration, and periodically even after stabilization to ensure safety, comfort, and stability. We take a variety of payment options such as: PayPal, cash, credit cards, HSA or Flex spending cards, Ecclesiastical assistance, Vocational Rehabilitation assistance and we also accept many commercial insurances such as: Aetna, Cigna, United Behavioral Health, Deseret Mutual, Blue Cross and Blue shield, Regency and United Health Care to name a few. We have full and/or partial scholarships available for those who are either in-between insurance, have partial coverage or less than adequate coverage, or who have no viable financial resources. Be sure to call and ask about this possibility as all scholarships must be staffed prior to admissions. Orientation groups or individual sessions that provide education to new residential patients in areas of program policy, medical issues and addiction / recovery information are provided within the first few days upon entering in one of our programs. For instance, although we are not affiliated with any particular 12 Step program, we will assist you in exploring the benefits of the community support these meetings offer. We can answer questions such as: What are the 12 Steps? What is the Big Book? What are Al Anon meetings? What are the 12 Steps of NA or AA? What are is the LDS 12 Step program? Why would this benefit me? If you are already on, or being evaluated for withdrawal medications, our medical staff will meet with you to make sure you understand alcohol withdrawals, opiate withdrawals, tobacco withdrawals and other types of withdrawals not requiring medication. It is not uncommon for our clients to be dually addicted to several substances at once, and there are non-addictive medications that can assist with things like sleeping, appetite, anxiety and depression. We also provide random drug screening as appropriate and in compliance with all State and Federal regulations, and to meet the standards of any Court or Court mandated supervision programs you may be involved with. Residents will attend Family Night if clinically appropriate. Research shows that family and “significant other” involvement is key to remaining substance free when returning to your family and community. left with our receptionist for a return call. There are no calls allowed for the first 72hrs. Visitation is scheduled through your case manager only (visiting based on level of care). We will provide reading materials for you, as most will be required reading. If you want to bring your own, they’re required to be recovery, self-help or spiritually oriented. A notebook or journal will be provided for you as a part of the treatment process. Televisions and Wi-Fi access are provided in our facility. Motivational Interviewing: Motivational interviewing (MI) is a process where the counselor or therapist does not confront the patient and tell them why they should change or why they have to change. MI helps the patient find out why they want to change. We will help you explore “what’s in it for me”. Some programs still adhere to an antiquated notion that you must break the patient down in order to facilitate change. Here at Eagle Mountain Drug Rehab, we believe if you are asking for help, you have hit your “bottom” and we strive to help you find your way back to yourself. Cognitive Behavioral (CBT): CBT is a solutions focused therapy where you and your therapist will explore the negative beliefs you have about yourself, the world and your life. Our therapist will help you look at the unhealthy coping skills you have developed because of the negative thoughts, and how addiction is an acting out of those negative thoughts and unhealthy coping skills. We aim to replace those maladaptive coping skills with new, healthy coping skills. Dialectical Behavioral Therapy (DBT). DBT is a dialectic process, meaning there is always more than one way to think about a situation. DBT creates a balance between acceptance and change, both of which are necessary to overcome addictions. This modality is especially helpful for those suffering with Borderline Personality Disorder. We also provide individual therapy to address those mental health issues that are driving the addictions. Our highly trained and licensed clinical staff can address any anxiety and depression, Bipolar Depression, eating disorders, Post-Traumatic Stress Disorder (PTSD) and a number of other mental health or Dual Diagnosis issues that may be not only driving the addiction(s) but may interfere with recovering from those addictions. Because we are an addiction treatment program, we do not encourage any form of chemical use. However, Deer Hollow Drug Rehab does allow the use of tobacco, but keep in mind that research has shown that for those in mental health or addiction treatment, the cessation of smoking only improves the odds of remaining drug and alcohol free!. "I had such a great time while under the care of Deer Hollow Drug Rehab. The staff was courteous and very knowledgable. They truly cared about me and did not treat me like I was just some pay check for them. They went out of their way to make me feel comfortable." -Jeremy L.